YOUNGSTOWN – Services will be Friday, April 4, 2014, at 11 a.m. at the L.E. Black, Phillips & Holden Funeral Home for Mr. Leroy Arrington Sr., 96, who departed this life Sunday, March 30, 2014, at Vista at the Ridge. Mr. Arrington Sr. was born Jan. 8, 1918, in Snowden, Ala., a son of Isam Doc and Annie Arrington, and came to this area as a young adult. He had worked with the U.S. Steel Corporation, retiring after over 30 years of service. He was the owner/operator of Leroy’s Radio and TV Repair Shop. He enjoyed fishing, repairing electronics and repairing engines on cars. He was of the Baptist faith. He leaves to cherish his memory his children, Suzette (Wali) Akram and Donald Arrington, both of Cleveland, Leroy (Waldine) Arrington Jr. of Youngstown, Jerome (Frances) Arrington of Ravenna, and Anthony (Sherry) Arrington of Atlanta; 20 grandchildren; 32 great-grandchildren; and a host of loving family and friends. 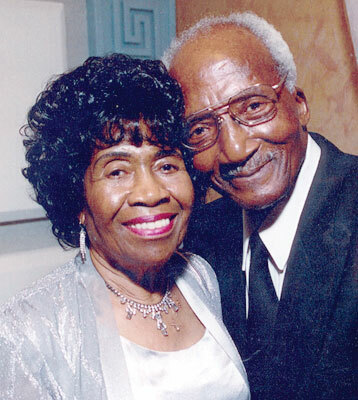 He was preceded in death by his parents; his wife, the former Bernice Williams, whom he married June 13, 1937 and who passed away Jan. 5, 2006; a sister, Mary Arrington-Pettus; and a brother, William Arrington. Friends may call on Friday from 10 to 11 a.m. at the funeral home. Please share your memories of Leroy.